Should I pack my glider loosely or tightly? Roy Dade writes: John, I’ve thoroughly enjoyed your Skywings articles. Just a suggestion but packing is an often debated topic on the hill. I’ve often felt a tight neat pack is good if walking in or out any distance to stop the rubbing of glider fabric against fabric but a loose pack if it’s only a question of 100 metres – what do you think? I also disconnect the glider to keep the risers inside the pocket inside the concertina bag and the lower lines loose packed to avoid snags, rubbing and pinching inside the rucksack: is that the best thing to do? My harness is rolled and put sideways into the rucksack and the concertina bag folded loosely over the top, leading edge on its own down one side and the trailing edge with a single fold over the other so at no point is any weight on the glider. A huge subject in its own right but something that contributes a lot to long term glider care I’d have thought so your thoughts and advice I’m sure would be appreciated. John replies: That’s a good question about how tightly to pack your wing, and whether there’s a risk of abrasion inside the pack. There are actually two other considerations to bear in mind that I’d like to consider before addressing this point. The first is the risk that in compressing the fabric, it may come under tension that could be concentrated in a small area. So for example, if you pack the wing up tightly in a concertina bag, and then fold it sharply, the fabric on the outside of the fold will be stretched over the bulk of the fabric on the inside, and that’s not good. The tighter you pack the wing and the sharper the fold, the greater the tension. Because of the leverage you may exert during packing, the tension on the fabric could significantly exceed that experienced during flight. The danger is that if repeated frequently in the same place, the coating may get damaged and the porosity suffer as a result. We’ve had wings in the workshop where the porosity is poor in certain panels that are regularly put under strain by the pilot’s chosen packing method. The second is that if you want to pack a wing into a small volume, then as you fold it, minimise the extent to which the fabric is scrunched up where it doesn’t need to be. I think you’re right, Roy, when you mention the word “neat” in your question. If the fabric is all rucked up, then all those extra folds take up space, so you’ll have to squash the wing harder to get it into the bag. More pressure to reduce the volume, more folds, more fabric being pulled tight around other bits of fabric – it all adds up to more wear on the wing. You’ll often see pilots in the landing field concertina their wing up with all the leading edge cells pulled together at the same point. That may help keep the leading edge plastics all flat on top of each other but it doesn’t make sense for the rest of the canopy unless the leading edge of the wing is a straight line when its flown! 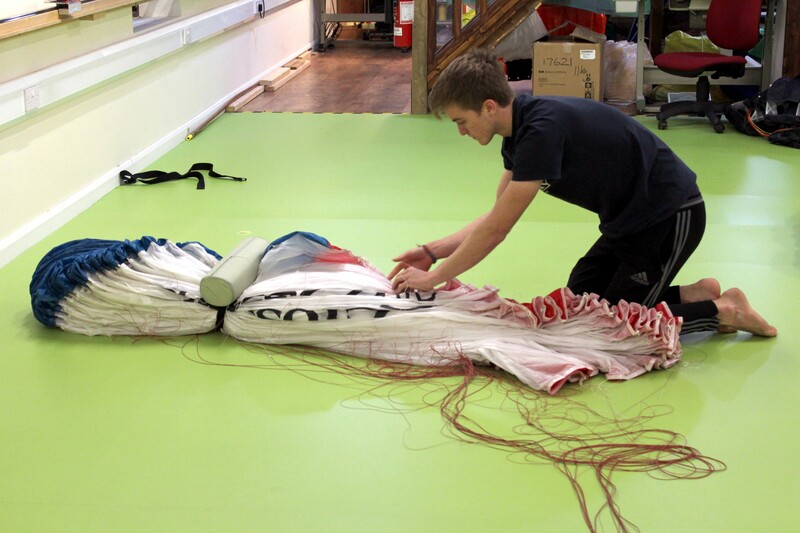 If you do pull the tips forward towards the cells in the centre of the wing as you pack, then the fabric in the centre of the glider gets all rucked up in the process. That may also risk plastics further back in the wing getting kinked. 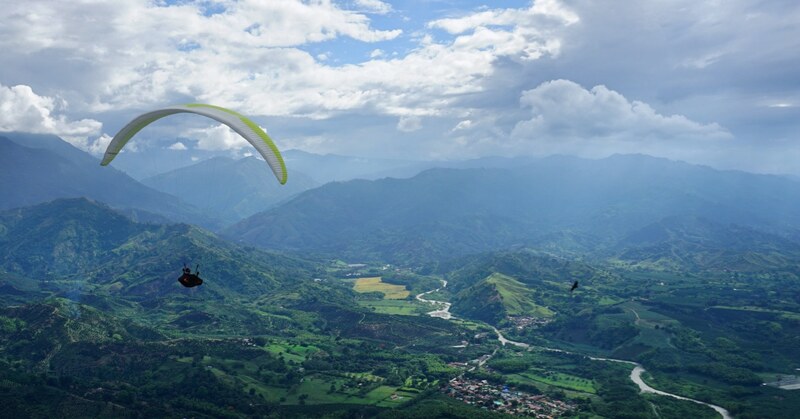 You can avoid all that that by packing cell to cell as you concertina the wing up (see the pictures above and below), as I described in my January 2018 SkyWings article (available at https://aerofix.com/packing-your-paraglider/). So, back to the question of whether a tight neat pack is better for walking anything more than 100m. Certainly any rubbing of the fabric is not a good idea, but of course a loose pack will mean there’s relatively little pressure, so any abrasion damage will be minimal. There are some good fastpack backpack designs available now that allow you to pack and head off very quickly. The best ones avoid compressing the roughly-packed wing too much, which is important. 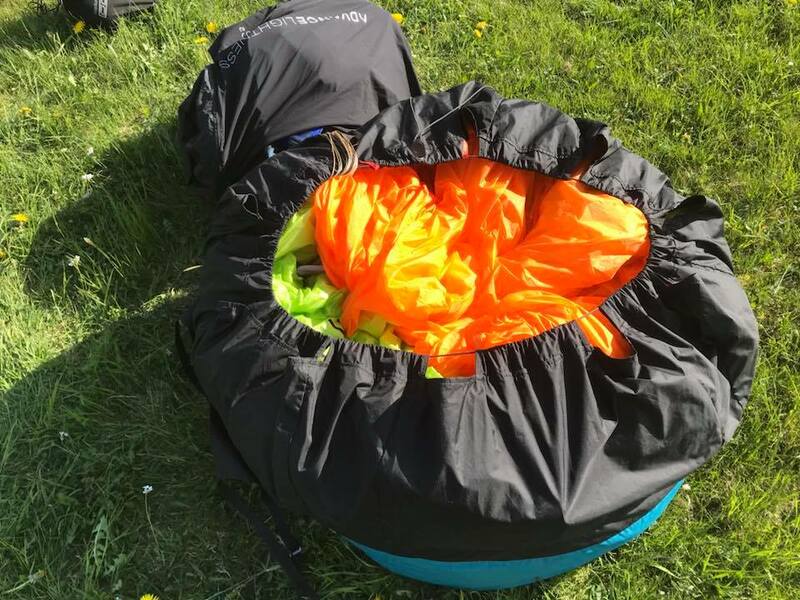 For all the reasons set out above, it’s not a great idea to roughly pack a wing and then compress it tightly, so if you’re thinking about one of these, expect them to take up more space than a regular rucksack. Nontheless, I think you’re right, Roy, that if you’re planning to walk any significant distance, the wear on the wing will be minimised by a neat pack, stowed in the rucksack, with firm but not excessive pressure. Your question about disconnecting the risers is another interesting one. I agree that you want to minimise contact between any hard parts of the risers which may cause damage to the glider fabric or lines. Putting them in the pocket in the concertina bag is one way of ensuring that. But you can also achieve the goal by careful placement of the risers in the harness if you leave them attached. That’s what I do. I prefer to leave them attached as it’s one less thing that might go wrong on take off. Wrapping your concertina bag around your harness sounds good. That helps reduce tension by avoiding a sharp radius, which is good.